JUST REDUCED 4/4! * STYLISH HOME * REMODELED WITH NEW OPEN FLOOR PLAN * SPLIT MASTER * NEUTRAL TILE * ISLAND KITCHEN * MAPLE CABINETS * GRANITE COUNTERS * STAINLESS STEEL APPLIANCES * GLASS TOP STOVE * CHARMING FIREPLACES INSIDE & OUT * CUSTOM VANITY * PEDESTAL & DESIGNER VESSEL SINKS * BUILT-IN OFFICE * UPGRADED DUAL PANE WINDOWS * SKYLIGHT * FRENCH DOORS * BAY WINDOWS * BACKYARD PARADISE * BEAUTIFULLY LANDSCAPED * FIREPLACE WITH SEATING AND BARBECUE * PLAY POOL * PAVER PATHWAYS * TRANQUIL SITTING AREA * STACKED STONE PLANTERS AND GARDEN BED * PRIME LOCATION * MINUTES TO KIERLAND, SCOTTSDALE QUARTER, SHOPPING & RESTAURANTS * THIS ONE IS NICE * DON’T MISS IT! Approximate size: 6047.00 sq. ft. Please, send me more information on this property: MLS# 5866234 – $409,900 – 15634 N 63rd Street, Scottsdale, AZ 85254. 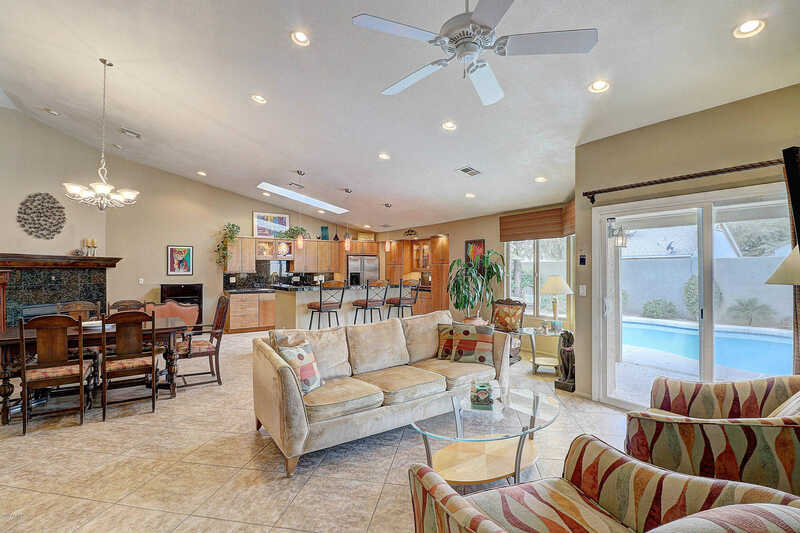 I would like to schedule a private showing for this property: MLS# 5866234 – $409,900 – 15634 N 63rd Street, Scottsdale, AZ 85254.